Fellow Nigerians, please let’s start our weekly conversation with a simple Arithmetic since my Maths is a bit suspect. The whole idea is to establish who qualifies to be called proper opposition in Nigeria. In my permutations, I’m reasonably assured that all the politicians, political and technical office holders who have ruined, and are killing, Nigeria are not more than ten percent of our entire population. As a matter of fact, those who control the hearts, kidneys, livers and lungs of each of the 36 states of the Federal Republic of Nigeria are never up to 1,000 per state. The total figure for the states, if this holds true, stands at 36,000 majorly bad people. Let’s add the principalities in Abuja at 4,000 tough guys. This grand total puts the gladiators at 40,000. Let’s assume that each of them has 20 acolytes. Our calculation rises to 40,000 plus 800,000 dependants. We can be a bit more charitable by inflating our figure by 100 percent. It would give us a maximum of 1.68m troublesome people. No matter how hard we stretch this dramatic analysis, we can never get to 10 million. What this portends is that the entire commonwealth of Nigeria is rotating in the hands of less than one percent of our population. Most of the trillion naira, if not dollars, that we’ve heard about, but never saw, or felt its presence, in the past 13 ugly years, of our ruling party, can be directly traced to this extra-terrestrial beings. All the crushing poverty, excruciating pain, general backwardness, extra-ordinary deprivation in the midst of plenty, superlative oppression and chronic depression we’ve had to endure were all caused by this brood of vipers. What is sad and saddening is the remorselessness of these guys. I have said it repeatedly that there is no country that is ruled by Saints but our rulers take the cake in all that is bad and unjustifiable. They have given a new name and meaning to greed. No amount is too little or big to pilfer. The ones they can’t steal they waste without blinking an eye. We call figures that would have turned around the fortunes of several nations combined but which won’t even whitewash our walls of shame. The situation is now so bad that most of our citizens have given up hope of any redemption in the horizon. The more we grumble the more our dare-devil politicians perfect their art and science of rigging themselves back to power. They have graduated from analogue to digital rigging and their dexterity is at the talismanic level. And we are so easily bewitched that we simply shrug our shoulders and move on with life like victims of mass hypnotism. Three clear years to our next ritual of rarefied elections, debate is already raging and those who have not been able to fix 80 percent of our outlandish problems are already dreaming of re-election. Is it not the height of insult that anyone can be thinking of 2015 elections when no one is even sure of the status of our nation by then? This can only happen in a nation of rabid gamblers. Forget about the feeble denials from Aso Rock villa, President Goodluck Jonathan will run when tomorrow comes. In Nigeria, no promise is ever too sacred that it can’t be reversed. No agreement is too sacrosanct that it can’t be broken by those who came to power by dishonouring such agreements in the first instance. A bad precedent had already been set and there’s nothing strange about continuing the tradition. There are more than enough spin-doctors angling for the job of defending the wilful murder of their own zoning formula. Read my lips: “2015 is not my priority” translates to, “it is not important to me at this moment when you folks know I will contest anyway.” I’m a student of language and linguistics; there is no other meaning to that semantic. If our conclusion, therefore, is that the ruling party has started assembling its formidable arsenal, in anticipation of the magical 2015, when according to some doomsday forecasts our country is expected to have broken up into smithereens, where then do we go from here. 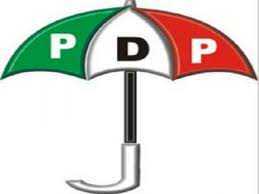 I have no iota of doubt that PDP cannot and will not change or save Nigeria. And under the present government we have been driven closest to the precipice. Never have we come so close to our self-immolation since the civil war that killed millions of our fellow citizens. It appears like we’ve learnt no useful lessons from our tragic past. Everywhere we turn, Nigerians of all shades and characters are beating the tam-tam of war as if what we are about to plunge ourselves into is a tea-party. Those in power want to remain in power by hook or by crook. Those outside want to attain power by every force available. This is definitely an invitation to anarchy. That is why our government should understand and appreciate the predilection of General Mohammadu Buhari. According to Newton’s Second Law of Motion, “When a force acts on a body it produces some change of momentum. This change of momentum is inversely proportional to its line of force.” What we are likely to witness in Nigeria is that change of momentum described by Isaac Newton. It can only come about by the Nigerian opposition gathering enough power and force to push out the PDP mega force. The velocity must be blistering and capable of blasting any impediment in its path. This is the picture Buhari was trying to paint. If the PDP apparatchik was under any illusion that it would continue to recycle itself perpetually in power, without any evidence of performance despite the trillions being collected and wasted every year, it should perish the thought and go back to the history books. Revolution is an integral part of the political process. Those who do the right things need not panic or remain jumpy at the drop of that dreaded word. Revolution is the terminal end and destination of all irresponsible governments. The world has known no other means to remove recalcitrant tyrants who forced themselves perennially on the people. A government should never think of doing the same tomfoolery repeatedly without being challenged sooner or later. It is sheer wishful thinking for the ruling party to think it can rule forever even if it fails to govern properly in all ramifications. It is obvious that our over-stretched security agencies have not been feeding the leaders with true picture of life outside the gilded cage called Presidential villa. Perhaps, it would have helped the leaders to know the level of frustration in the land. Let the government not get paranoid over Buhari. All men of strong principle in history were accused of proclivity to violence. Check out Malcolm X, Walter Rodney, Steve Biko, Patrice Lumumba, Obafemi Awolowo, and others. Buhari has joined that distinguished company. He’s a bigger bully of the bullies in power. And if for that reason alone, Allah must keep him alive for us. I was not a fan of Buhari on account of his truncation of a civilian government but was pleasantly impressed with his amiability during our brief meeting at his Abuja residence last year. I was also struck by his incredible passion for Nigeria. I did not feel any dictatorial aura around him as I switched on my elementary psychology. He was willing to work with like minds to save Nigeria. And he did not waste any time in inviting me over despite our difference in age and status. I left him that late evening wondering how he acquired the unfortunate appendage of a violent man. Being strong-headed is no reason to resort to violence. Buhari convinced me clearly that he believes in using instruments of law to realise his dream. That is why he always headed to the courts. I believe, however, that the time has come for him to become a father in the struggle and support whoever becomes our symbol. He would always have a role, and I believe it would be, in the critical area of fighting corruption. The burden of Nigeria has become too heavy for a man of his age to carry. What he owes Nigeria today is to lead his foot-soldiers to victory. Every father dreams of his children achieving what he couldn’t. I pray he accepts this huge responsibility. This government will suffer cardiac arrest the day Buhari joins forces with many brilliant Nigerians at home and abroad to form a water-tight opposition. There is no point going through the same rituals and allowing these political vampires to run away with cheap victory. Nigeria is haemorrhaging to death and it would require all the selflessness on the part of opposition leaders to take our nation back from reckless gamblers. The time has come for us to join our hands and legs to fight a common enemy. The level of retrogression in Nigeria is totally unacceptable in this modern world. And there’s no better time than now when everyone is looking for a supernatural intervention. There are over 70 percent of our youths floating outside the political corridor. Most of them are frustrated and despondent. They have no hope of getting jobs even if they over-qualify. Those living abroad and returned home to test the waters were swept off by our invisible tsunami. They are running back from a stranger land to strange lands. Such people are hoping for a day they can return home in peace before death beckons. No one wants to die in a foreign land if home was good. Nigerians in diaspora are more frustrated than even those at home. They must be actively involved in the process of restoration. If convinced about the seriousness of opposition, they can make huge material and financial contributions to the struggle. Also the opposition has a ready army to recruit in our youths who can be easily connected these days. Their duty is to ensure mass registration, queue to vote and protect their votes. We must go all out to educate the uneducated ones about how one vote can terminate and banish poverty in their lives. Social media is changing the way politics is conducted the world over, ours cannot be an exception. Our internet warriors should use the power in their fingers to galvanise the citizenry into action instead of running after crumbs from government quarters or abusing perceived enemies. What we need to propagate is the abc of removing ruling parties from power. Our celebrity artistes have great roles to play like their American counterparts did in America. They cannot continue to use their fame and reputation to endorse those who have made it impossible for talents to thrive in our clime. Nigeria would make as much money as Hollywood if and when we have exposed leaders in government who can harness the awesome potentials. We should stop being a nation of incurable doubters as if we are descendants of the French philosopher, Rene Descartes. An average Nigerian believes we’ll live with this madness forever. I met such people who said they won’t vote for me in the last election so as not to waste their votes. From what I now get on Twitter, they are regretting their decision to vote based on primordial sentiments. What they did last year was tantamount to throwing their votes and their future into the Atlantic Ocean. Lamentations alone won’t bring anything back. But the future beckons. Only a certified idiot would allow himself to be fooled repeatedly. The opposition now has its brightest chance ever to take its pound of flesh by tapping into the rapturous anger in the land. I’m convinced it is not as difficult as it seems. We all know the sacrifice we all need to make to get to our destination. Our children will curse us in the future if we blow this golden opportunity. The big question is, will ego prevail again?